Green color, one of my favorite ones, especially deep and rich emerald shade. 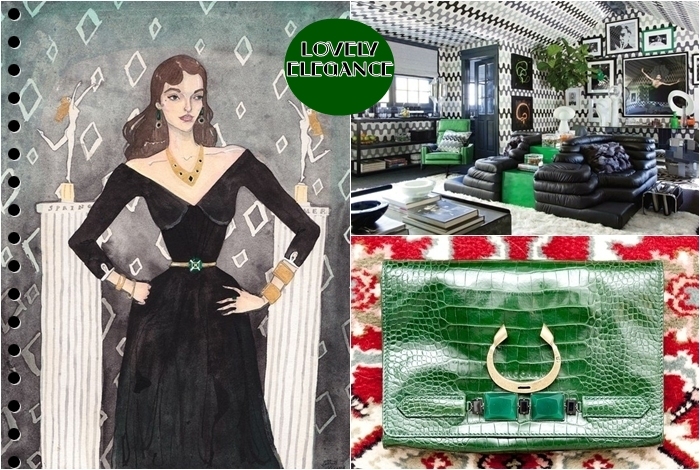 Luckily according to many fashion trend reports- this jewel tone is one of the main fall colors! Goes excellent with so many colors (red, white, gold, silver, neutrals...), but here I was focused on its combination with darker ones (primarily black). 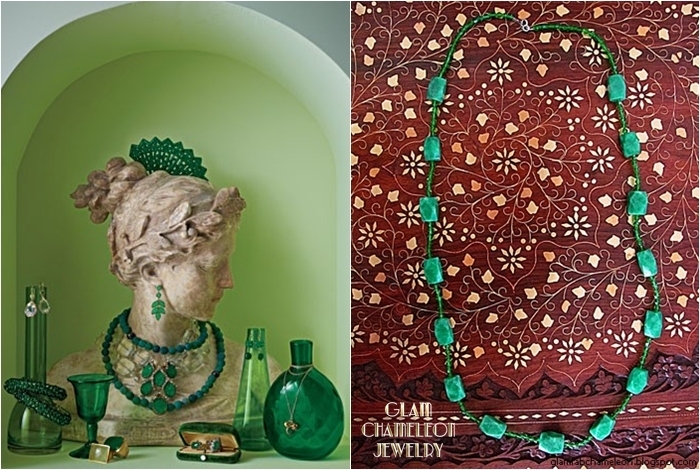 Whether you love it in your wardrobe or as a decoration element- this color gives an instant elegant touch! This coat can not be better! Hanneli loves this color too! Green + Black + Gold = Polished Perfection! 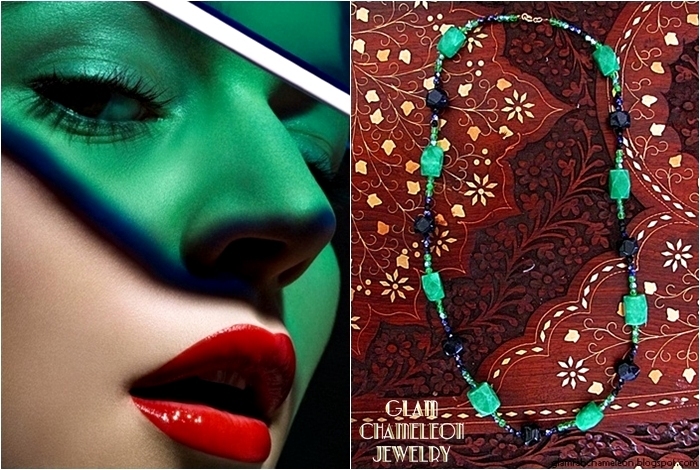 Note: Glam Chameleon Jewelry necklaces are made of chrysoprase, black agate, blue sandstone and beads. 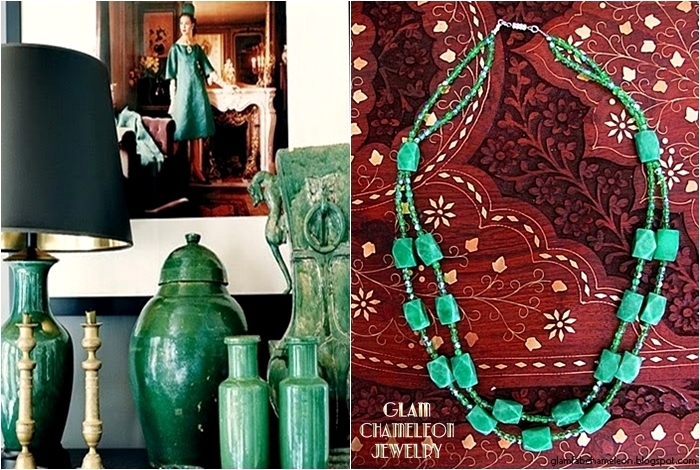 Lovely post, very inspiring . . . .
Emerald green and gold is a so glam combination! cannot go wrong with that color! Great photos.. Green is such a lovely color.. and goes well with Gold!! I love this color and that coat is to die for! Nisam ljubitelj zelene boje ali ovo izgleda stvarno dobro, posebno Elie Saab! 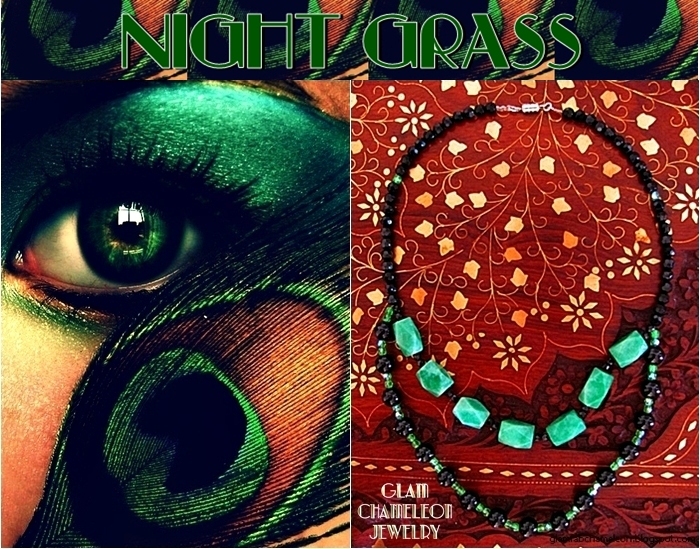 i love these rich jewel tones...the green is just gorgeous...love those gowns. great colour. love that shot of hanelli. That black/green photo is just unbelievable. 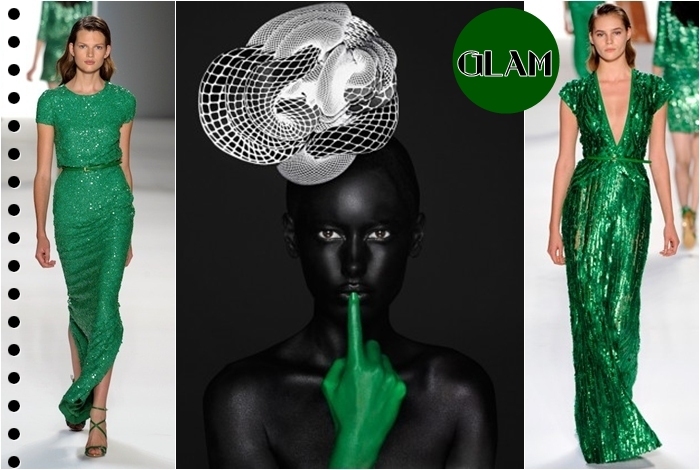 love all of the green glam!! so inspiring! I am obsessed with all this green! YAY! My fave shade of green... thanks for letting me know! I didn't think it was possible, but your words of positivity rocked. Thanks koukla. Green is such an alluring hue. I really like the vintage touch of green above! wow, that is one beautiful collage!! 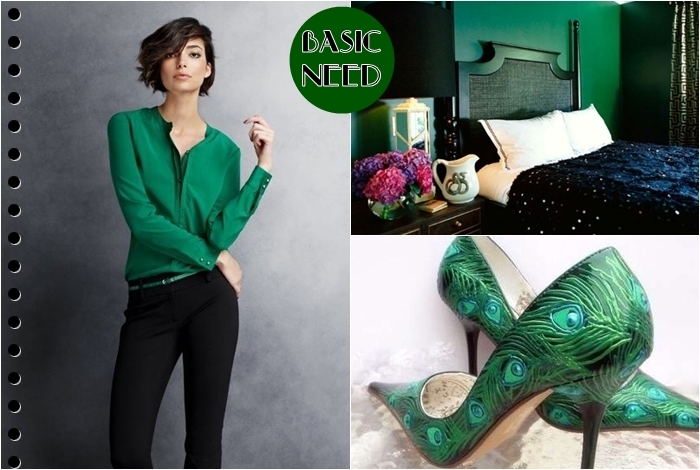 we are so glad deep green is on trend, as its one of our favorite colours!! its so elegant, thank you for your inspirations and those two long sparky dresses, are soooo Fab, we WANT!! 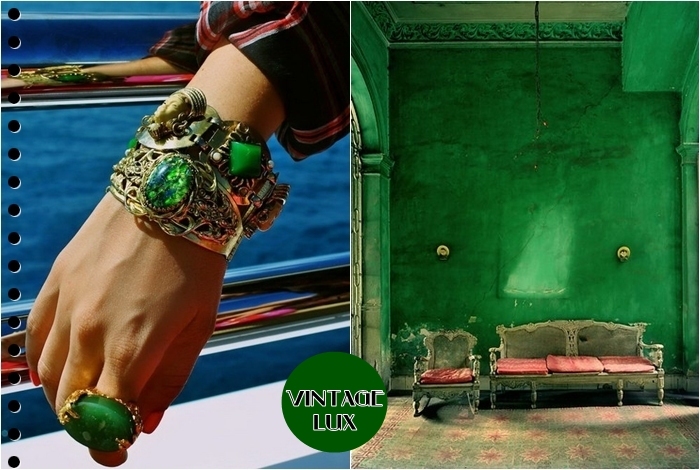 I love every tone of green, it looks simply epic and your own designs are so stylish, vintage looking and unique. Love, you are not only extremely beautiful but also very very talented! This post is so rich with many inspiring photos, each one is so vivid! Have a happy weekend dearest, many kisses & hugs! In green we trust baby. I love this color!!!! Great collection of pics. Well done!! !